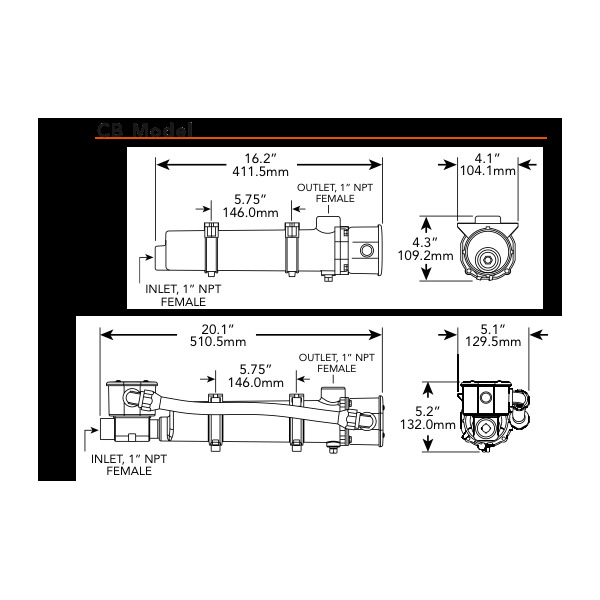 Hard-wire electrical connection, Single Phase. 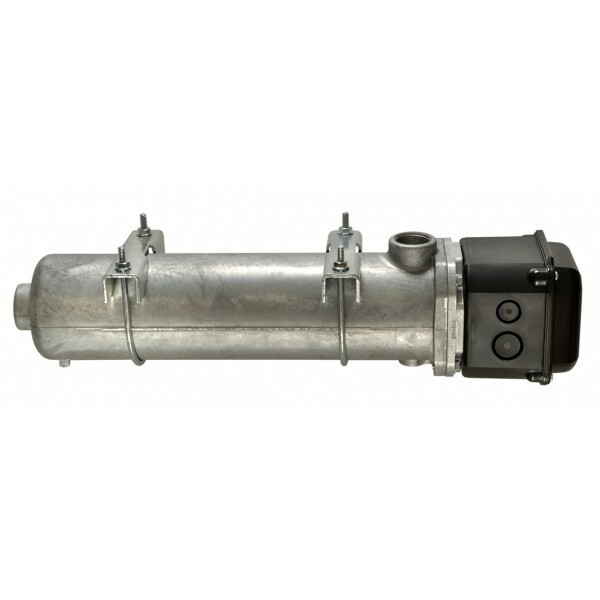 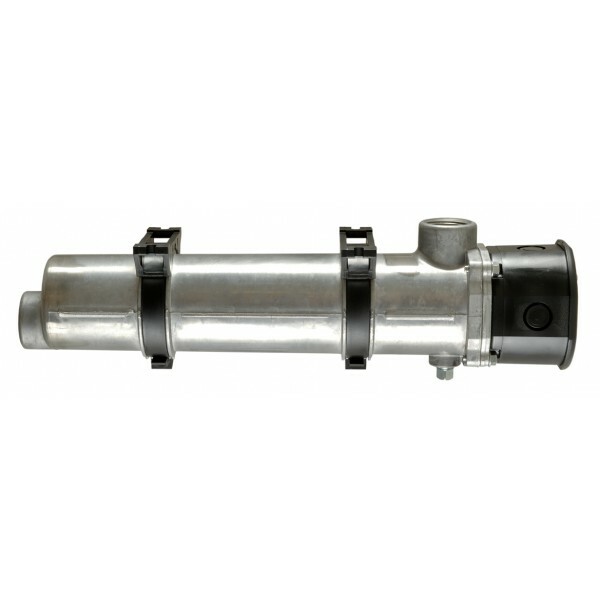 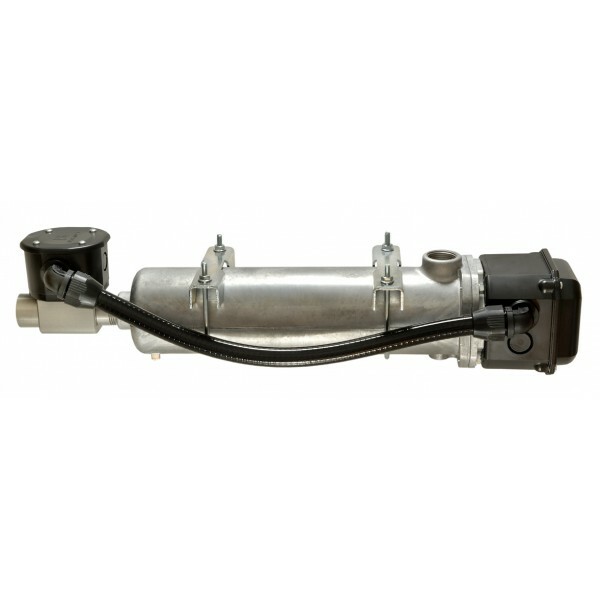 These pressure die-cast aluminum tank heaters are designed to circulate coolant through engines ranging in size from 5,7 L to 27 L. Wattage options range from 1500W-5000W with various voltages available. 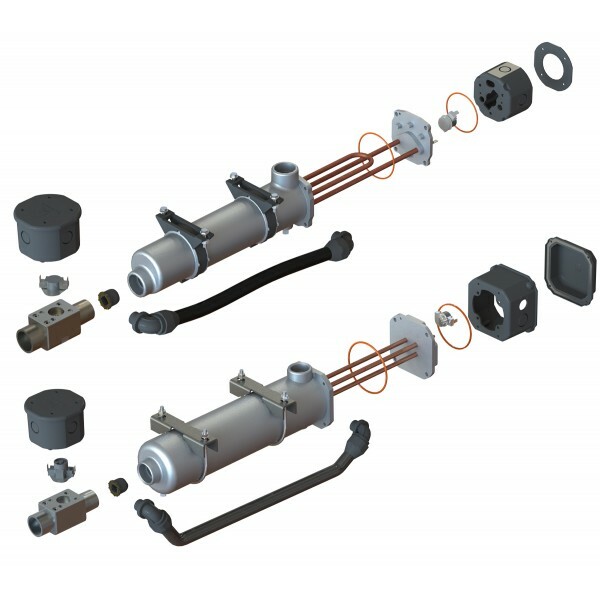 These single-phase heaters are designed for hard-wire electrical connection using rigid or flexible conduit. 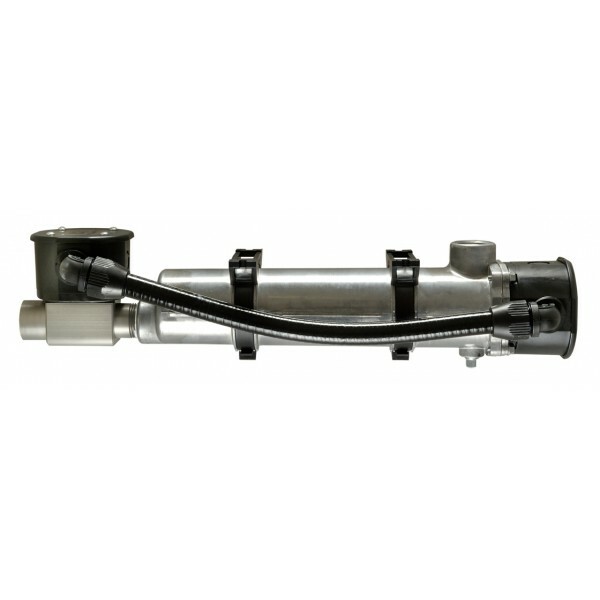 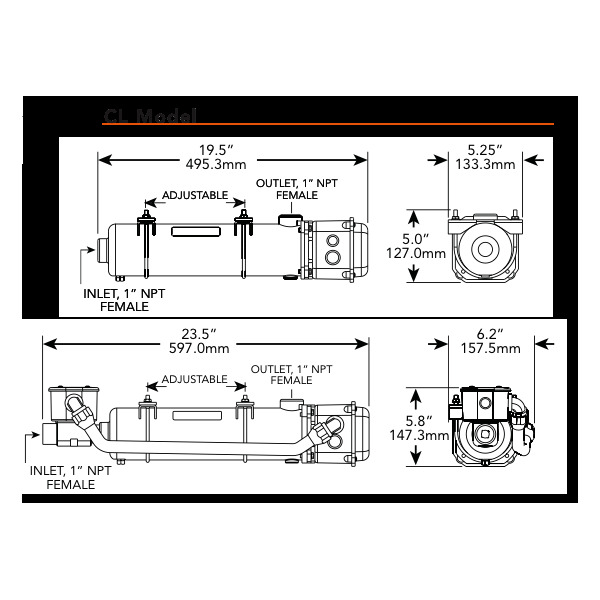 All models are available with or without flow-through thermostat assemblies.